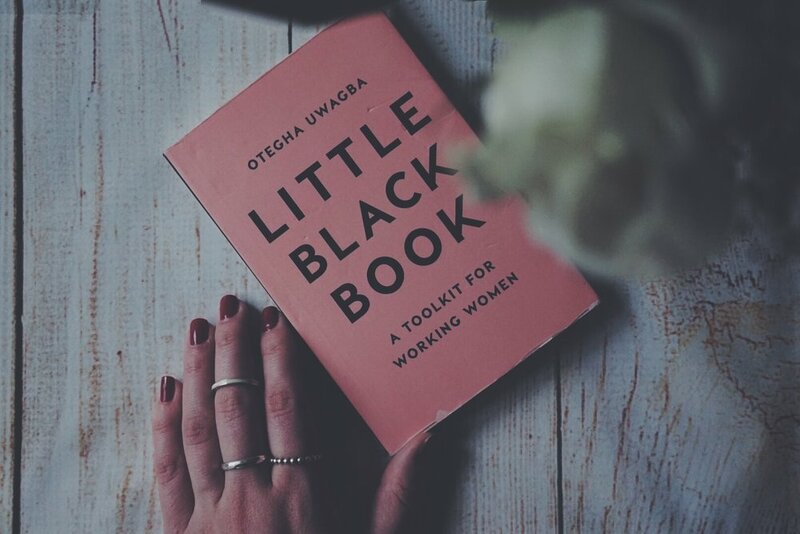 It makes me extremely glad to publish this post for two reasons: The first one, it is finally the end of March, a month that had been quite chaotic for me; and, the second reason is that I have just finished reading this toolkit for working women called Little Black Book written by Otegha Uwagba. It was a perfect time for me to have read this, since I have been trying to organise my creative life better and needed some ideas on how to do it. So, if you are looking for a good book to read, you should definitely try this one. Little Black Book had first been self-published in 2016, and it was an instant bestseller. Since then, this book had four reprints, and it has been applauded by women all around the world. In a foreword, Otegha says this book is for the people who are not sure of what they want to do next and need to make a change. I love it. In this small but powerful book, Otegha joined career advice with her insights on life, which were inspired by her own experience as a young woman trying to make her way in the world. She went even further and created a platform called “Women Who”. Otegha got the idea for this project when she found herself to be at the crossroads of her career and was unsure about what she would do next. At Women Who, she joins three things that inspire her the most: creativity, women, and work. Her aim is to provide support and inspiration for working women everywhere. 1. Wake up an hour earlier to start your day. 2. Take a full hour to have a lunch break. No phone! 3. Give yourself a deadline. 6. It is okay to do Digital Detox. 8. Stay true to yourself. 9. Don't feel bad to say what you achieved and what you deserve. 10. How to budget your income. At the end of the book, there is also a list of Q&A with other inspiring women. I enjoyed this part of the book because it felt great to know that there are other creative women out there who fight their battles successfully every day. For more information about Otegha Uwagba visit her website, instagram, twitter. If you missed my February book Ice Cream for Breakfast by Laura Jane Williams feel free to have a look.